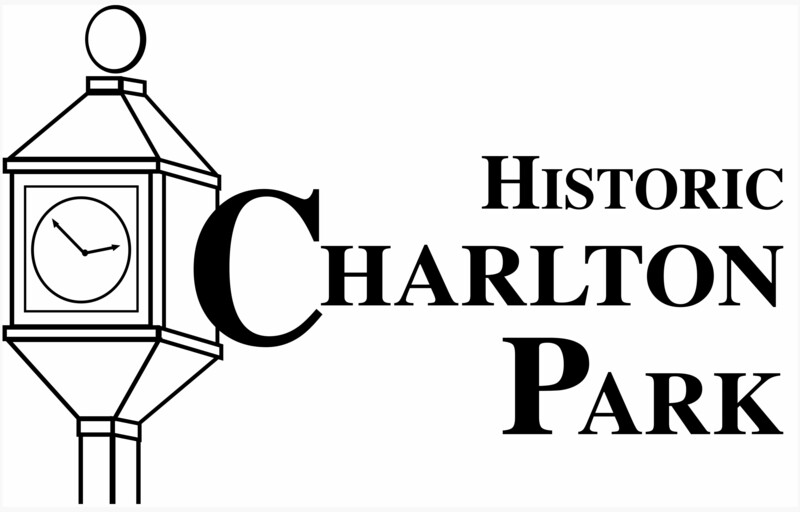 After an extremely busy season here at Historic Charlton Park, we finally have time for a long overdue post. This letter was especially difficult to transcribe, but gives an interesting perspective on the bounty system, which you can read more about here. Baird’s letters to his father George are quite different than those addressed to his lady love, Maggie. 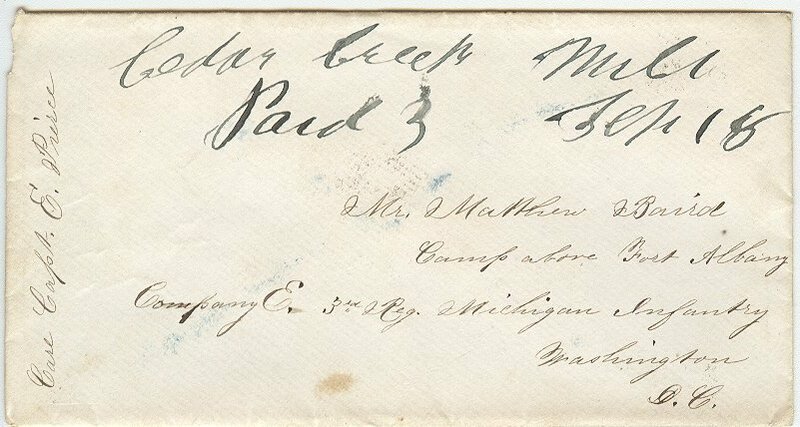 Envelope marked “Paid 3”, HCP Collection. Yours of the 29th Feb. came yesterday. I thank you for those stamps, tho I have plenty just now. With regard to those letters marked “Soldier’s letters” that I have sent home, I cannot avoid their being stamped “Due three cents”, It must be done at Washington if not there then at the other end of the route, as at Bristol’s. I have received a great many letters, the postage of which was not prepaid. Of course they were marked “Due Three Cents”, but as they have to pass the line of all regular P.O.s I did not have to pay the “due”, So what I loose on the one hand I gain on the other or rather the gain comes to those who write. You spoke of a town bounty of 100 dollars being due Sammie. Is it pay for his Veteran enlistment or his original enlistment? And if it is for either, how will he lose it? Certainly the town will not refuse paying it. Do you ever hear anything about my bounty? Charlie Robinson, as you will remember, was the only man that was honorable enough to pay. There’s eighteen dollars coming to me yet. I did’nt enlist for the sake of the bounty, for goodness knows, the amount was too small to be anything of an inducement. But still when men promise their word, and that in public, for a large or small amount. I should not think it would require the full extent of of that test to induce them to keep it. I understand that some of the boys did get the most of their bounty, but Uncle Tommy Robinson charged something like 25 percent for collecting fee. I think this is [illegible] against. It is an insult to any soldier. I think I have done my bounty’s ($20) worth of fighting, & feel as though there might to be some way in which I could get it. I expect if God spares my life, that I shall do another bounty’s worth of fighting this Summer, but I don’t expect to get anything above what Uncle Sam pays me. You may show this to Uncle Tommy Robinson, or to any one whom it may concern, or not, just as you choose, “sawmill” Clarke, Mr. Doud, Mr. Howard, Mr. Gessler, Mr. Geo. Robinson & Mr. Warren Woodruff, are the men from whom the money is yet due. Dr. Jackson can tell you the amount due from each. I will write a few lines to Lucie & and [illegible]. I sent you a check for eighteen dollars a short time ago.